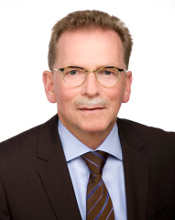 Peter Hoeppe is a board member of GCF since 2005. Before his retirement in early 2018, he was heading the Munich Re division “Geo Risks Research/Corporate Climate Centre”. Before joining Munich Re Prof. Hoeppe has worked in different university institutes at the Ludwig-Maximilians-University in Munich and as a post doc at Yale University (USA). His academic education is in meteorology (Masters and PhD) and human biology (PhD). His main areas of research have been effects of atmospheric processes (heat/cold, UV radiation, air pressure fluctuations) and air pollutants (ozone, particles) on humans and the general assessment of environmental risks. Currently his research focus is on trends of natural catastrophes and their drivers and on climate change effects on insurance industry in general. Prof. Hoeppe is scientific member of many scientific societies and has held expert functions in different UN-Organisations. He is founder and Chairman of the Munich Climate Insurance Initiative (MCII) and one of the initiators of the Desertec Industrial Initiative. He has been appointed as Climate Change Advisor of the Bavarian State Government and Chair of the “Finance-Forum: Climate Change” of the German Federal Government.